Imagine if you could get around traffic? I don’t mean simply by plugging your destination into Waze and whipping down side streets. No, I mean avoiding traffic on the ground altogether by taking to the skies. It’s the dream that most of us have had since we first watched “The Jetsons” or “Back to the Future.” Many companies have been attempting to create the first flying car, but now a Dutch company is ready to sell you something that’s pretty darn close. It’s called the PAL-V Liberty. 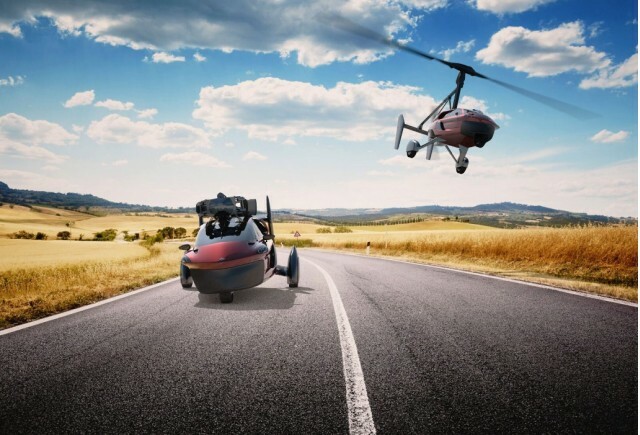 The company is calling it a flying car though we think it looks more like a trike mated with a helicopter. Regardless, the company has been testing it and the Liberty appears ready to handle both roads and skies, anywhere it might be allowed to do so. On the ground it will have a top speed of 100 mph, and it will make the 0-60 mph run in less than nine seconds, according to Motor Trend. Once airborne, the Liberty will be able to whisk along at 112 mph. So how much will it cost to put this flying machine in your garage? Well, the first examples, which are being designated as Pioneer Editions, will retail for $599,000. PAL-V plans to build 90 examples of those before switching over to the Liberty Sport, which will cost $399,000. You’ll obviously need a license for both ground and airborne adventures, and you’ll have to figure out just where you can actually fly this thing. If you have the appropriate licenses, a bucket of cash, and a desire to leave traffic back on the ground, you’ll be able to pick one up starting in 2018.